Lodha Amara is luxury residential Apartments in Thane West, Mumbai.Lodha Amara Thane West is strategically connected to all major social and corporate hubs which lie within a 60 minute radius from it.Project offers 1,2 and 3 BHK apartments that are sized between 472 - 1185 Sq. 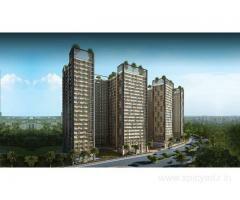 Ft. & price range from INR 69.86 Lacs to 1.80 Cr.Project is RERA approved. Size: 472 - 1185 Sq. Ft.